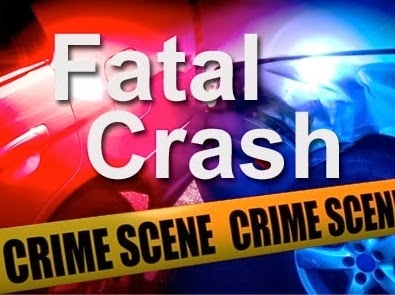 On July 30, 2014 at 7:32 am the Township of Hamilton Police Department responded to Route 322 between Weymouth Rd and Malaga Rd for a motor vehicle accident. Upon arrival the initial responding officers located an overturned truck. Investigation revealed a 1998 Volvo tractor truck owned by Palmisano Delivery Service Inc. of Egg Harbor Township, NJ was traveling westbound on Route 322. The truck crossed over the eastbound lanes and traveled up an embankment on the shoulder of the road. The truck then struck several trees and overturned on the eastbound shoulder. The driver and sole occupant was identified as Al Nelson, age 73, of Pleasantville, NJ. Nelson was deceased upon the first responders’ arrival on scene. The right eastbound lane of Route 322 was closed for 5 hours as police conducted their investigation and crews cleared the scene. Assisting at the scene were Weymouth and Mizpah Fire Departments, Township of Hamilton Rescue, AtlantiCare Paramedics, NJ State Medical Examiner, New Jersey State Police Transportation Safety Bureau and NJ Department of Transportation.